Last Tuesday during my bike ride I'd passed several boxers jogging and shadow boxing on the Keystone trail. 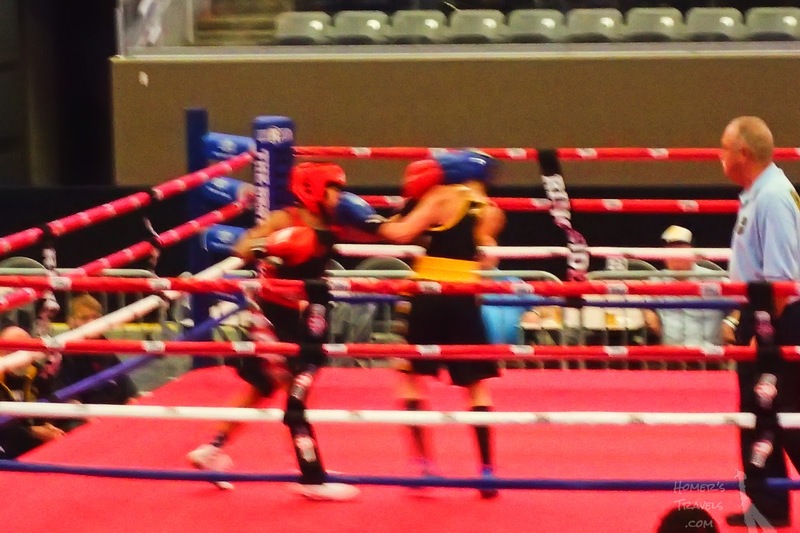 Last night I went to my first boxing match. 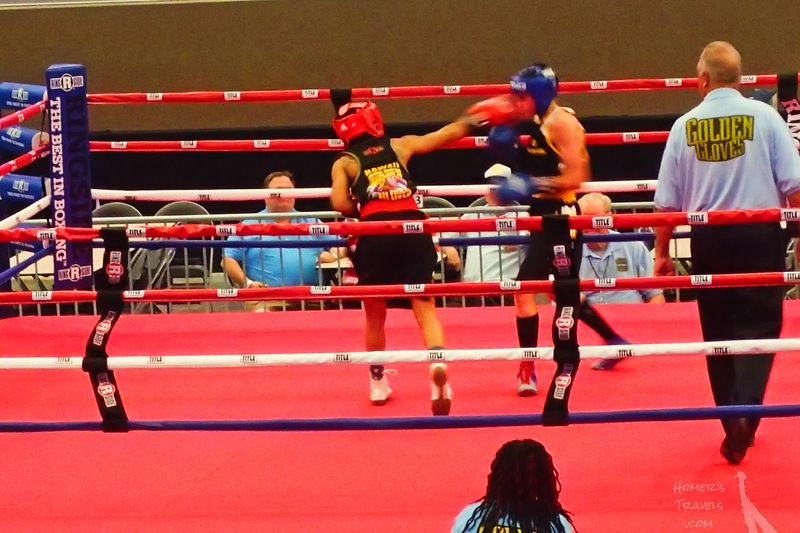 Actually, there were several matches as it was the semi-finals for the Golden Gloves Tournament of Champions. The Wife and I were joining the Brother-in-Law who invited us to go with him. A right to the noggin. The matches were held at the Ralston Arena and, for the semi-finals, there were three boxing ring set up. On Friday there were twelve matches per ring. There was a good mixture of amateur male and female boxers. Suited up it was hard to tell the men from the women. A panorama of the three boxing rings. With three rings going at once it was a bit difficult to follow the activity. The Wife had the best idea - pick a ring and concentrate on it. I learned this lesson late in the evening. Iowa woman losing to a Hawaiian woman. The boxing was a lot more disorderly than I expected. I expected a more methodical pummeling instead of the apparently chaotic flurry of blows. This may be due to the fact they were amateurs and not professional boxers. Amateurs or not I would not want to get on their bad side. It was an interesting evening. Not sure boxing is my thing but I did enjoy my first boxing experience. Book: Masha Gessen's "The Future Is History"